Cuba has re-established a banking relationship with the US, bringing the countries closer to restoring diplomatic relations, according to a senior State Department official. The official, who spoke on condition of anonymity, refused to identify the bank involved, according to the Associated Press. 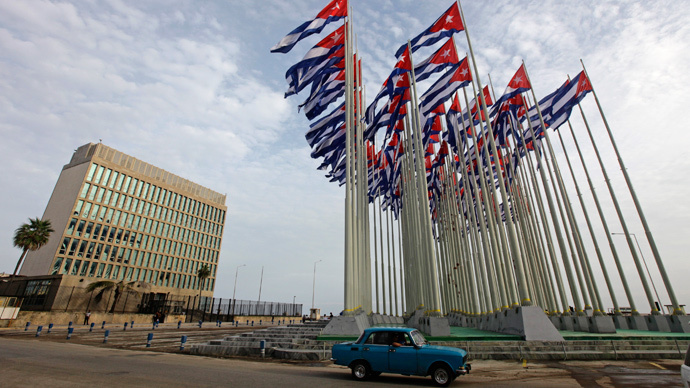 But a hint was given last week by the chief of the Cuban Interests Section, Jose Ramon Cabanas Rodriguez, during a visit to Bradenton, Florida when he revealed that Cuba was in negotiations with a Florida-based institution, reports the Guardian. The Cuban government has not yet officially commented. Cuba's diplomats and employees in the US have had no access to bank accounts or financial services for more than a year now, and have been forced to rely on cash shipments in order to pay bills and salaries. Cuba's two diplomatic missions in the US lost access to banking services in July 2013, when M & T Bank announced it would no longer handle the accounts of foreign interests. Cuba has since failed to find a replacement bank to handle their business. Restoring banking operations has been one of Cuba's biggest demands amid recent promises from Presidents Barack Obama and Raul Castro to restore embassies in Washington and Havana after more than 50 years. Another major hurdle to closer ties is the US designation of Cuba as a state sponsor of terrorism. That though will expire on May 29. Efforts to bring the two countries closer will continue, with senior officials from both sides scheduled to meet in Washington this week in what's thought could be the last round of negotiations before embassies are re-opened. The Obama administration is looking for guarantees that will allow their diplomats the freedom to travel the island and meet whomever they please, including dissidents and other opponents of the Cuban government. Cuba's demands include an end to the economic embargo and the closure of Guantanamo Bay. The US broke diplomatic relations with Cuba on January 3, 1961, after Castro demanded the US reduce staffing levels at its embassy amid accusations it was being used to house spies. This followed a long period of declining relations between the two, which included Castro’s signing of a trade deal with the Soviet Union and a US attempt to overthrow the Cuban leader through the financing and training of Cuban exiles.